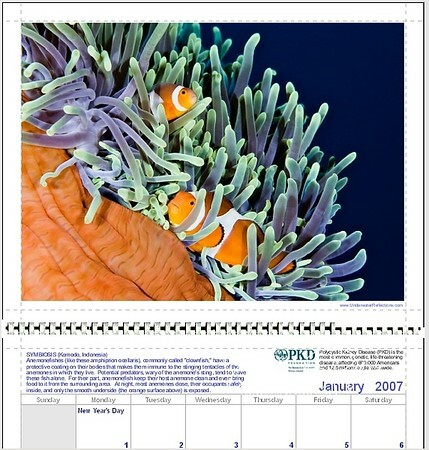 This calendar featured some of my best underwater photographs. My company, Appropriate Balance - www.appropriatebalance.com - paid for all production costs, so ALL proceeds (more than $12,000!) went to the PKD Foundation to increase awareness of Polycystic Kidney Disease and fund research to find its cure. Thanks to all of you who supported me in this very worthy cause!